Most recently the Archery Tavern pub, this restaurant close to Hyde Park stands in what was originally a stable block in the 19th century. There's not a hint of its former occupants; straw and saddle soap have been replaced with wooden floor boards and an extensive French wine list. Wine is where owner Thierry Tomasin has, up until now, invested his time and energy - he was previously head sommelier at Le Gavroche for 12 years and more recently general manager of Aubergine, Chelsea. Tomasin, who hails from Gascony, South West France, may have adopted Britain as his home but brings plenty of French flavour to his restaurant. With chef Olivier Duret in London for the first time, arriving from Hotel Scribe in Paris, there's a fresh-from-Paris feel to the menu. Foie gras crème brulée, steak tartare and Mediterranean seasoning are just some examples. It all amounts to a genuine French bistro that London could do with more of. The atmosphere is intentionally relaxed - no stuffy, Michelin style hushed tones or waiters fussing over you here. It's a little piece of Paris in London, complete with art noveau swirls, red leather bench seats and great, gourmet food. Angelus Restaurant gyms, sporting activities, health & beauty and fitness. The best pubs near London Angelus Restaurant. 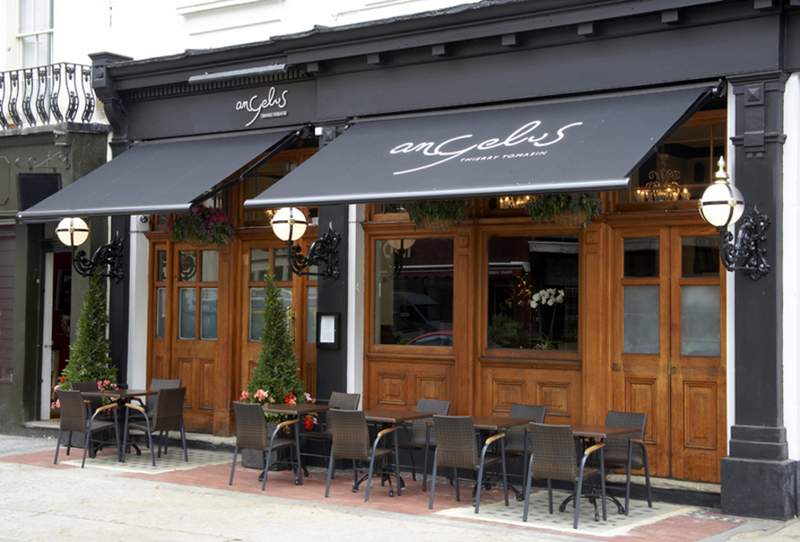 Angelus Restaurant clubs, bars, cabaret nights, casinos and interesting nightlife. Where to have your meeting, conference, exhibition, private dining or training course near Angelus Restaurant. From cheap budget hotels to luxury 5 star suites see our special offers for Angelus Restaurant hotels, including Corus Hyde Park Hotel London from 90% off.